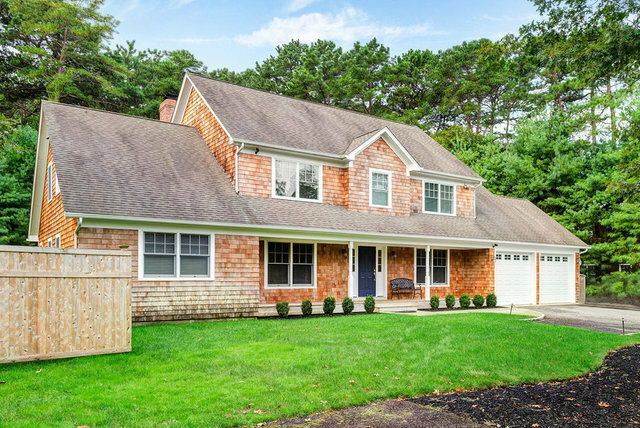 Located minutes from Sag Harbor, at 3,800 +/- square feet, this home has gracious entertaining spaces and five generous bedrooms, with four and a half baths.A two-story entrance welcomes you into formal dining and a great room. Glass doors align the back of the great room leading out to a beautiful private yard with a free form pool set off to the side. There are two master bedrooms, one on each level with walk-in closets and generous sized en suite baths. On the second floor, in addition to three guest rooms there is an oversized bonus room for additional space.